​We decided the word “CANCER” needed an editorial tweak in the title and also the concept of the book. So, we blanked out the last three letters to focus on the word “CAN”. It was important for us to create an interactive way for everyone, including friends and family to participate and draw together. It has been said that people process images 60,000 times faster than words. So there are lots of images and very little text. With all the noise the diagnosis brings, we wanted the images to focus in lighthearted and humorous way on the word “CAN”. No one is ever prepared for the diagnosis of cancer. 14 million people around the globe are given that news every year. This book is dedicated to them along with their friends and family. 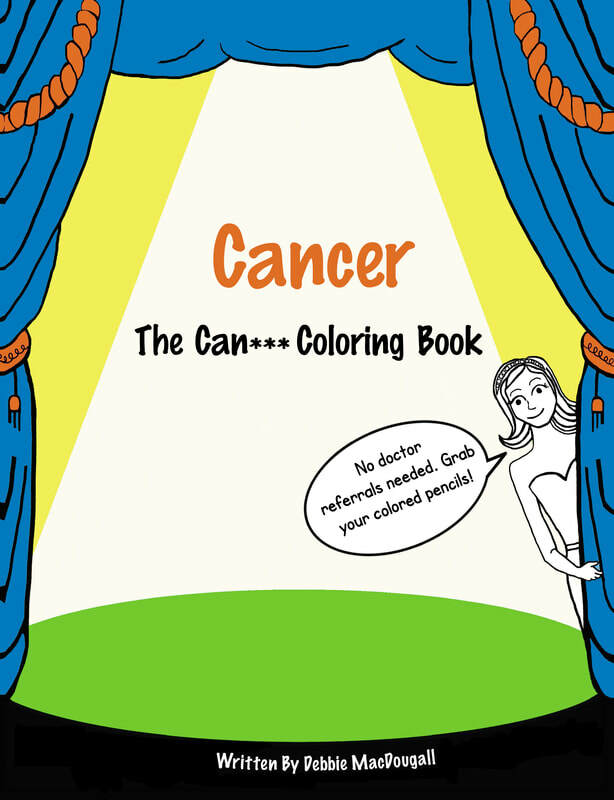 With 50 pages of humorous and thoughtful illustrations - Such as "Snuggle Puff”, "Seven Dwarfettes of Cancer," "Step Right UP," and "KAPOW-PET" to color and cut up, the book gives readers many humorous images to color showing cancer who is the boss of your body. It also provides sections where family and friends can interact and participate to send their love and a smile. With 70 pages of thought provoking illustrations - Such as "Divorcectomy, "Wedding Photo Dilemma," "Divorce Rhymes," and "Assembled, Processed, and Decreed" to color and cut up, the book gives readers a way to find laughter, maybe even a little healing, and a brighter outlook on life.